EVENTS (places you can find me and my art! CREATE A SKETCH (or written!) JOURNAL OF OJAI!!! Learn the basics of watercolor underpainting to create a foundation for beautiful pastel paintings. Workshop will include a demo and personal guidance as you create your own 8×10” watercolor underpainting and begin pastel application from a provided photo source or a favorite photo you bring to class. Supply list will be sent upon registration. 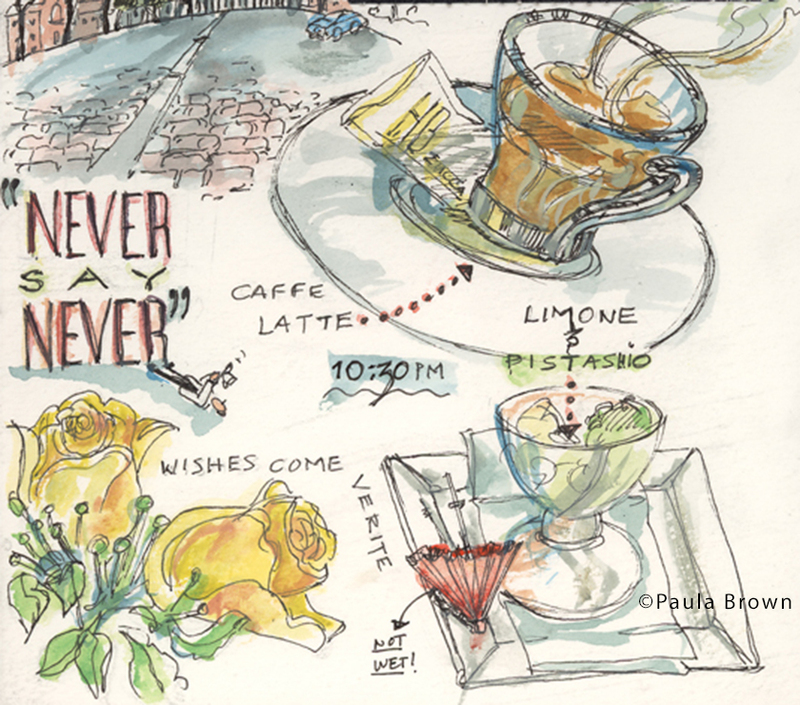 DRAWING THE EXTRAORDINARY FROM THE ORDINARY WITH QUICK SKETCH JOURNALING. I will be giving a pastel demo highlighting a Maui North Shore Mt. naturescape. All are welcome! I am in Booth #2. downstairs / lower level at main door. Also, I am giving a pastel painting demo on Sun, Oct 14 from 1-3…come on down for great art, sales, and fun! 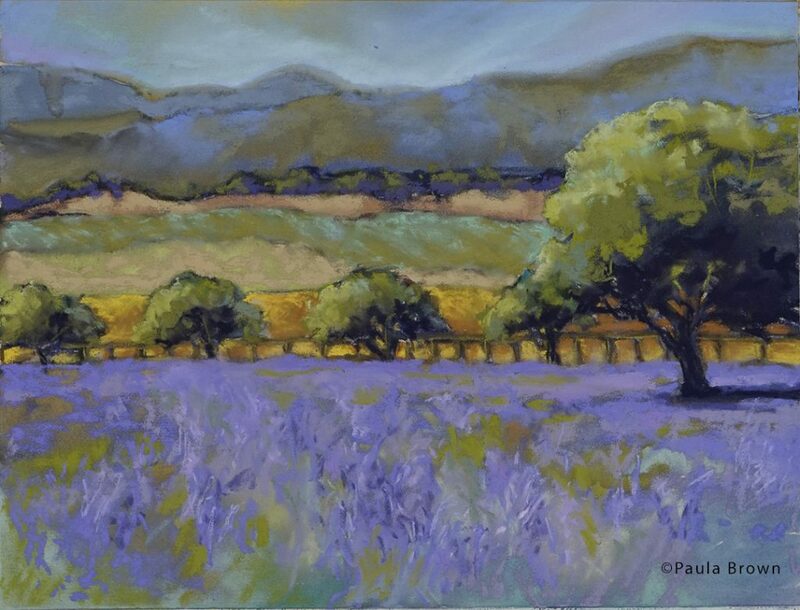 My Solo Show includes over 20 pastel paintings that echo landscapes and seascapes of the Central Coast, Ojai, and Hawaii. All art is for sale and the theme is The Light of Joy! Please come on in, bring your friends, you need not do “banking”, the bank is used to “show shoppers”. Send me your comments! Open from 10 am to 6 pm at 238 E. Ojai Ave., Ojai, CA 93023. You can find my paintings now on the WALL at Ojai Valley Artist’s Gallery; featuring Local Artists in the heart of downtown Ojai, CA! Includes a 2.5 hour stroll / observe, sit & sketch / journal time, spiral bound sketch pad, fine line ink pen, glue stick (for those items “collected along the way”) and a bottle of water to get you going. 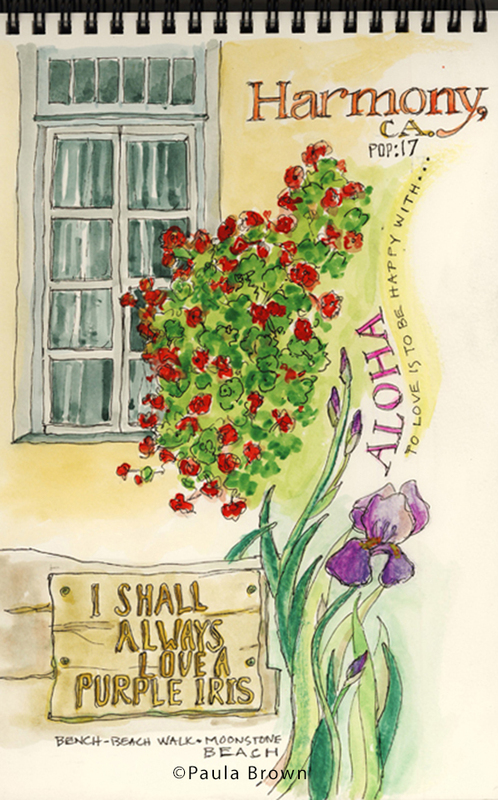 We stop, sit to draw and journal at least 3 locations to create your art and word maps of your visit to locations. Real Sketch Crawls! 2. 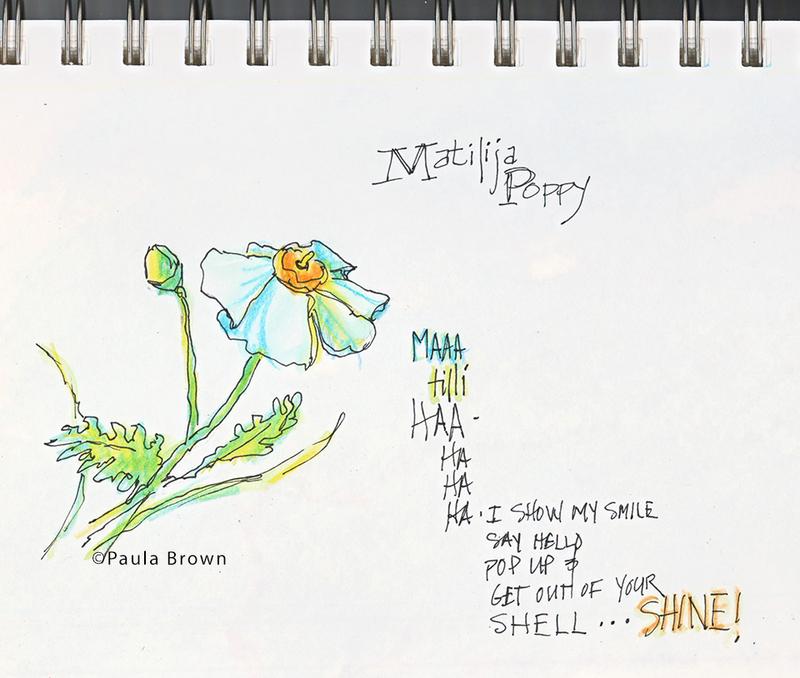 OJAI SKETCH CRAWL INTO NATURE: Go “plein air” out in nature Sketch Crawl into one of Ojai’s Land Conservancies alongside the Ventura dry river bed. We meet at my studio and car pool to the nearby staging area for the hike into the fields. Walking in approx. ½ mile we stop and sketch in at least 3 locations to map out our environment and thoughts. After our Sketch Crawl, we return to my studio to put finish touches on our art or words with an offering of Lemonade or Ice Tea (something warmer if weather is cool!). Bring your own folding camp chair, sun hat, sunglasses, any special beverage or water, and creative spirit. FEE (per person, plus processing fee): Call me personally to craft a custom “crawl” and costs. Beginner to continuing artist private painting and art sketch classes available. No art supplies provided unless requested (if needed, materials list can be sent or provided for extra charge of materials). Call for information and to set up times. FEE (per person, plus processing fee): $65. Per 2 hour. Providing one “blank canvas” of art paper, oil pastel media to use, a theme with source to paint and draw from. Explore the purpose and connections that complete your art using a fun theme to create unique masterpieces. I provide water, popcorn, theme and guidance for your creative adventure. Bring Your Own Creativity group art gathering. I provide a choice of white or red wine drink, water, and the classic Paula Brown Studio popcorn bowls. The purpose here is to celebrate the current month “almost over”. You select a quote that I supply to create your art theme using oil pastel media on supplied art paper. Feel free to bring your own media other than oil pastels, and we could, as a surprise work in an unannounced media. Create and celebrate! MORE CLASSES, SPECIAL WORKSHOPS, WILL BE POSTED HERE AS THEY ARE PLANNED. Sign up for my email list for notifications and special happenings / art adventures. 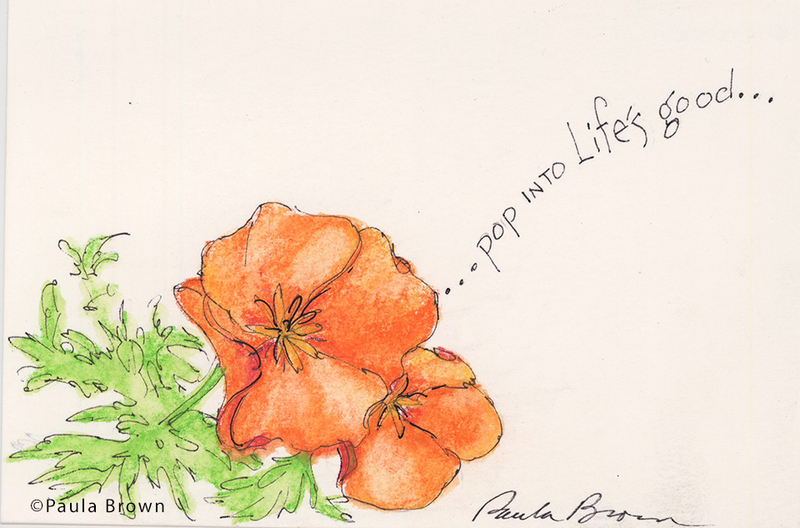 Email me at: paula@paulabrowncreative.com to get on the art list!